This weekend, clubs and pubs across Australia will join a national movement to prevent social violence with the launch of the inaugural ‘Stamp Out Violence’ campaign. 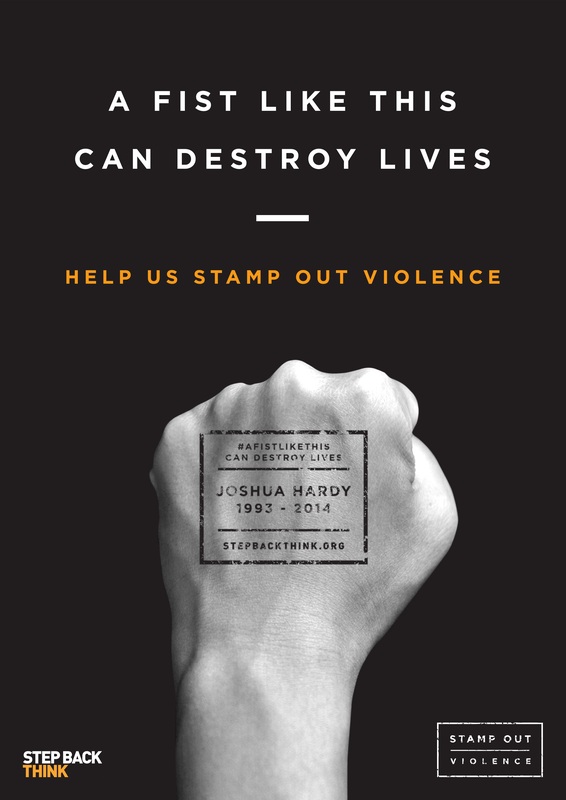 Across Australia patrons entering participating venues will be stamped on their fists to honour Joshua Hardy, killed in an act of social violence at the age of 21. The campaign – developed by Creative Technology Agency DT and an initiative for social awareness organisation Step Back Think – is the first of its kind and aims to remind young people that what happens in a moment can last a lifetime. It launches this Friday and Saturday night (2-3 December). The thought-provoking stamps say: “A fist like this can destroy lives” and were specifically designed to engage with patrons and raise awareness as they enter popular venues including Ms Collins, Bridge Hotel, Academy Club and more. People attending the venues are then encouraged to share a selfie of their fist on social media using the hashtags #aFistLikeThis and #StampOutViolence to raise awareness and spark a conversation with family and friends. “The stamp is a powerful reminder that a fist can destroy lives. It’s designed to encourage young people to have a conversation with their friends about Josh’s story and embrace their responsibility to prevent social violence,” said Step Back Think CEO, Anna O’Halloran. DT has also developed a range of supporting executions to further build awareness including radio (national), OOH, digital OOH, plus posters/shirts/volunteers at nominated venues. Creatives and strategists across DT worked together to create the concept and its supporting executions, as part of the agency’s focus on developing work for the not-for-profit sector. “What we’ve created is really an entirely different form of advertising for the purpose of raising awareness; it’s a billboard worn on the body, to help people take responsibility and remember those that have lost lives to needless violence,” said DT’s Client Partner, Daniel Smith. The stories of those directly impacted by Joshua’s death will be shared as part of the Stamp Out Violence Campaign to illustrate the broad impact on the community and motivate change. In 2016 alone, Step Back Think has recorded 15 tragic and preventable deaths on its Social Violence Register. “Step Back Think is an outstanding organisation that is committed to real social change, something we are passionate about at DT. We are hopeful the unique approach we have developed allows people to not only remember the message as summer breaks this weekend, but throughout the season and beyond. The entire team is proud to be part of this initiative, that’s all about working together to stamp out violence,” Smith continued. To learn more about the campaign and Josh’s story, head to the website.